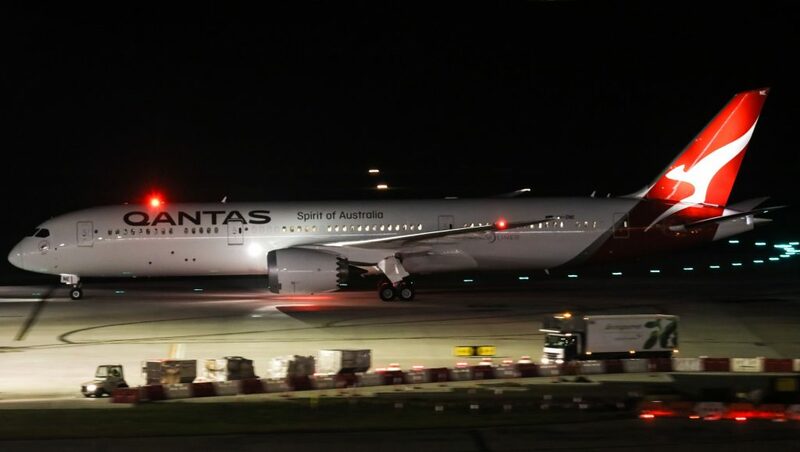 On July 2, Qantas’s fifth Boeing 787-9 arrived in Australia. Having completed the 12,390km journey from Boeing’s Payne Field to Sydney, the aircraft carries the registration VH-ZNE and proudly wears the name Skippy. Bringing the aircraft “home” to Australia is the culmination of not just the construction of this particular aircraft, but another milestone in Qantas’s 787 program, which has seen over a decade of work by a dedicated and committed Qantas team. One of the leaders of the 787 Qantas team is Captain Alex Passerini. At the controls of Skippy during its delivery flight, Passerini is the chief technical pilot for Qantas and brings a wealth of experience to the flightdeck of any aircraft he commands. “I was just in Seattle and picked up Skippy, our newest Boeing 787-9, which adds additional flexibility to the fleet,” Captain Passerini told Australian Aviation just one day after completing the aircraft’s delivery flight. Passerini’s seniority and responsibility at Qantas is the result of a life-long dedication to aviation, with his interest in aircraft sparked during his childhood years. The son of Italian immigrants, Passerini was afforded an opportunity to experience long-haul flight early in his life when travelling to Europe to visit relatives. “When I was young we had a chance to fly back to Italy. Back then, children were often invited up to see the flightdeck while the aeroplane was in cruise and I had this chance to see the flightdeck, and all the dials and buttons,” Passerini recalls. This childhood interest became a potential career path during Passerini’s high school years when he had an opportunity to speak regularly to an airline pilot. “I had a friend whose Dad was a pilot and from listening to his stories and already loving aircraft I decided I wanted to do this as a career,” he recounts. This led him on a pathway to flight, which included studies at Massey University in Palmerston North, New Zealand before commencing a career in general aviation. Passionate and dedicated from the start, Passerini loved his time in general aviation and was exposed to a variety of disciplines early in his career. “Early on I did some instructing, general charter work and flew an air ambulance Cessna 404,” Passerini explains. It was through his work at the Australian Airlines’ subsidiary that the young pilot had an opportunity to apply to work on the Boeing 737 within the Australian mainline fleet. “At the time, I wasn’t really ready to leave general aviation as I was having so much fun, but when the opportunity comes up to move onto the Boeing 737 you need to take it,” Passerini says. 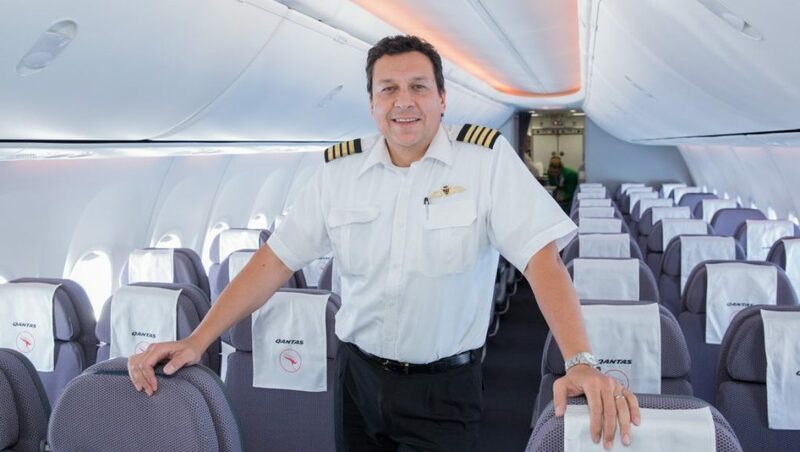 Having made the choice to move onto commercial jets, Passerini committed himself to a career at Qantas. His progression within Australian differs from what Qantas pilots experience nowadays, primarily in that while today’s new recruits will typically find themselves initially operating as second officers, Passerini went straight into the co-pilot’s seat. However, just as he took the controls of an Australian Boeing 737, one of the most dramatic transformations of Australia’s aviation landscape occurred: The September 1992 Qantas/Australian merger. This merger saw the bringing together of two unique organisations, both with long histories and unique cultures. Australian’s long-established domestic expertise was integrated with Qantas’s international operations, forming a large national flag carrier with both a global and local presence. Throughout the merger, it became clear that Australian Airlines’ strong domestic presence and Qantas’s international expertise complemented each other, leaving Passerini and his colleagues looking to the future with a positive mindset. Passerini had always had an interest in the technical side of flying. As such, he made career choices to follow a technical pathway. This allowed him to up-skill and learn a new discipline, in addition to his line-flying work. Having flown the 737 for many years, Passerini transitioned into the role of technical pilot for the 737. Through this role, he was involved in modification projects and aircraft delivery work. In 2001 Qantas ordered the Boeing 737-800. Initially supplementing the -300/-400 fleet, this Next Generation aircraft ultimately replaced its classic forebear, and now numbers over 70 examples within the Qantas fleet. Passerini was quick to up-skill for the new variant, completing training to become proficient in the -800. 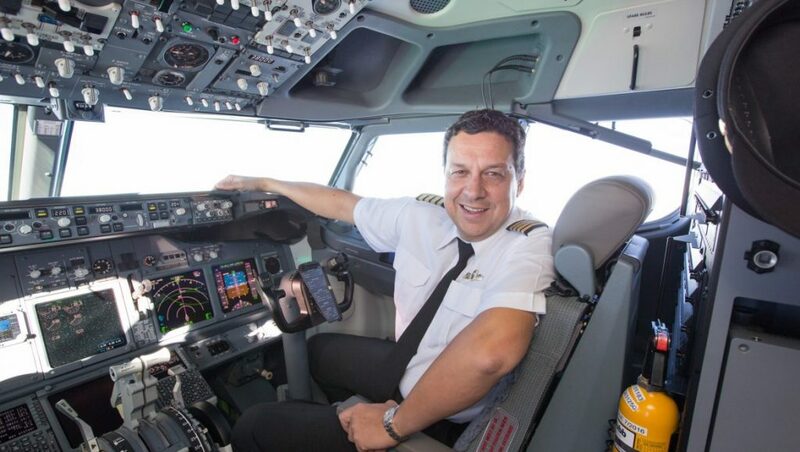 And his technical pilot role didn’t remain attached to just one type, as he sought to expand his knowledge base across the 747, 767 and 737, taking on the role of technical pilot Boeing fleet. But despite an increasing responsibility within Qantas’s technical operation, Passerini continued line flying, something he is regularly involved in to this day. And while it is a role he loves, he feels line flying is essential for all technical pilots, as it offers a variety of benefits to ensure they remain connected to everyday operations. Today, as the chief technical pilot for Qantas, he oversees the technical side of the whole Qantas fleet, both Boeing and Airbus. He is also a qualified captain on the 787, having been involved in the Dreamliner project since the early days of Qantas’s initial order in 2005. As a long-term Boeing pilot, Passerini is passionate about this latest Qantas airliner to come out of Seattle. And despite the aircraft’s advanced systems, he says the 787 felt familiar from day one. Passerini says the differences in the 787 stem from its brand new design. As such, rather than an updated legacy aircraft such as the 737-800, the Dreamliner provides an evolution of technology that offers benefits for pilots and passengers alike. One of the most noticeable changes in the 787, as compared to other Boeings, is the aircraft’s new flight control system. The Dreamliner is only the second fully fly-by-wire aircraft from Boeing, following from the advances made for the 777. With Skippy safely delivered, Passerini can settle back into a routine of line flying intermixed with his senior technical role within Qantas. Line flying on the Dreamliner takes him to far away destinations, including operating the ground-breaking direct service between Perth and London. “I am loving London,” he says. And with his role new opportunities continue to arise, such as working on Qantas’s Project Sunrise initiative to acquire an airliner capable of flying from Sydney to London nonstop. It was thanks to Sunrise that the long-term Boeing captain had an opportunity to visit Toulouse and experience the A350-1000, where Airbus representatives shared the advanced technologies and systems employed on their latest widebody airliner to make it safer, quieter and more efficient. And it is the drive for ongoing improvement that continues to inspire Captain Passerini. “That is one thing I really like about this industry. At our core we’re all looking to improve safety and improve the industry, whether you’re Boeing or Airbus, or Embraer or Bombardier,” comments Passerini. VIDEO: A look at Qantas’s fourth Boeing 787-9, VH-ZND Emily Kame Kngwarreye, being painted in a special indigenous livery from the airline’s YouTube channel. As a quiet “observer” of all things Airbus & Boeing, and a regular traveller (domestically & internationally), particularly with QF, I just loved this article! I was the little Alex Passerini all those years ago, but never became that pilot, let alone have the esteemed career he has now. Nevertheless, I still thrill to the sound of aircraft coming and going, love being at airports (like Alex I love LHR, & London…we’re there again next month via QF9!) & thrill at the sheer joy of flying in these magnificent machines, be they Airbus or Boeing.